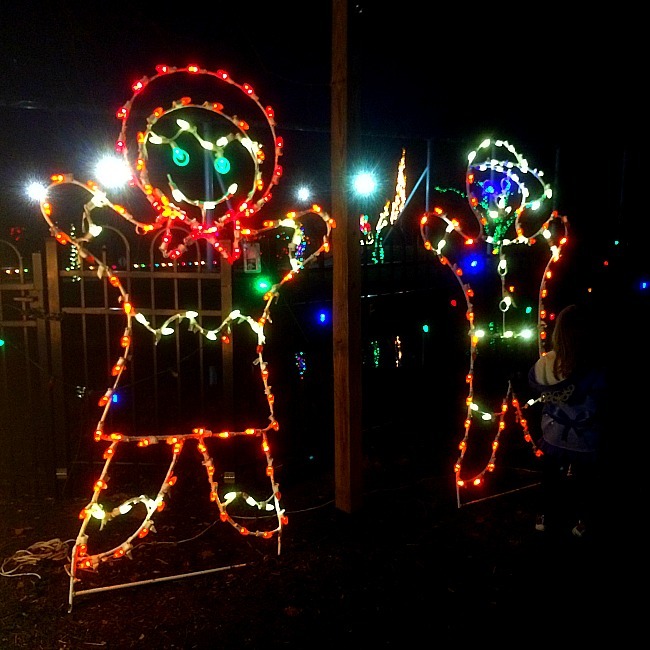 Inside: These Christmas events in Maryland are pure magic and you will definitely make awesome memories to last a lifetime with your kids! 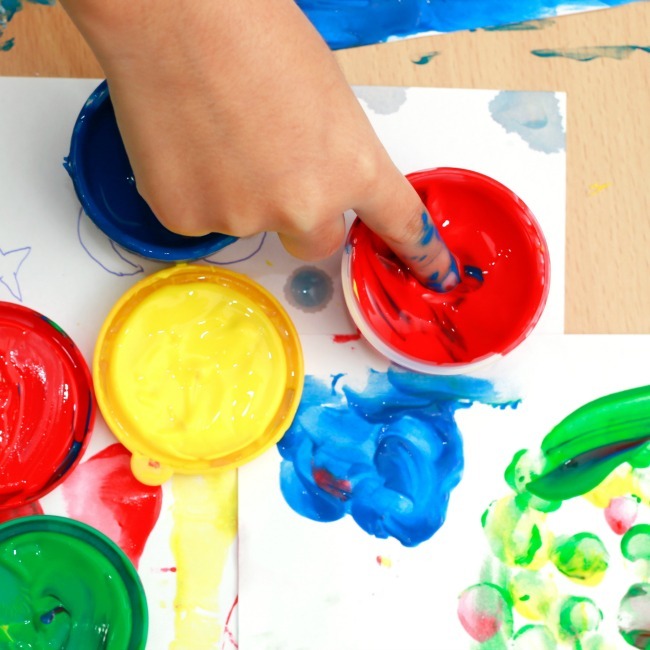 There is arguably no time more magical for kids than the holiday season. From the moment peppermint milkshakes make their annual debut until Santa’s arrival on Christmas Eve, kids and adults are delighted by all the amazing Christmas events and activities. 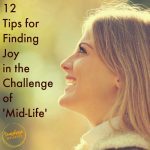 It can be overwhelming though because, especially in the Maryland-DC-Virginia area, there are sooooo many fantastic ways to celebrate the holiday season. 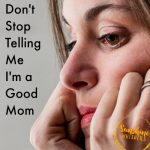 The good news is that the most important part of the holiday season is not the endless holiday ‘must-do’ to do list. Nope. The one thing that makes Christmas so magical is the time spent with family, doing the activities your family most treasures and just being together. 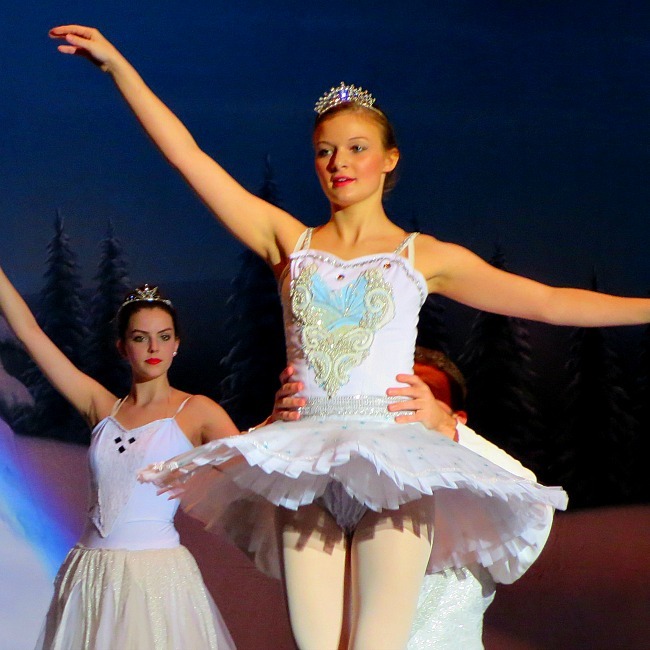 But if you are looking for some really fantastic options for magical Christmas events in the Maryland Region, these 10 ideas are fabulous… and they will all check the only box that really matters– time spent together as a family. There are so many drive through Christmas Lights Displays to choose from. However, two of the best are the Symphony of Lights in Columbia, MD and the Watkins Regional Park Festival of Lights in Upper Marlboro, MD. Walkersville Southern Railroad (read my in-depth review here). This train is perfect for younger kids in particular. 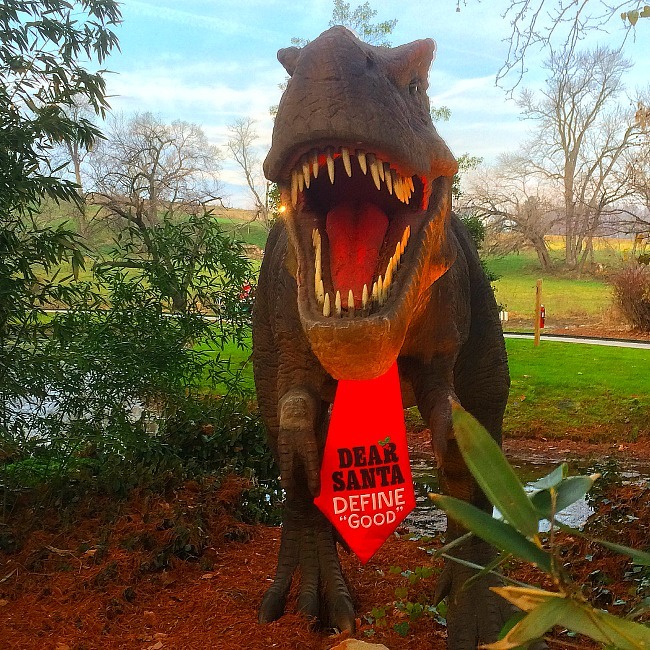 It is a gorgeous ride through the countryside and Santa Claus spends ample time with each kid. Strasburg Rail Road– Santa’s Paradise Express is pretty fantastic for kids of all ages. We love the ‘Night Before Christmas’ train ride as well! 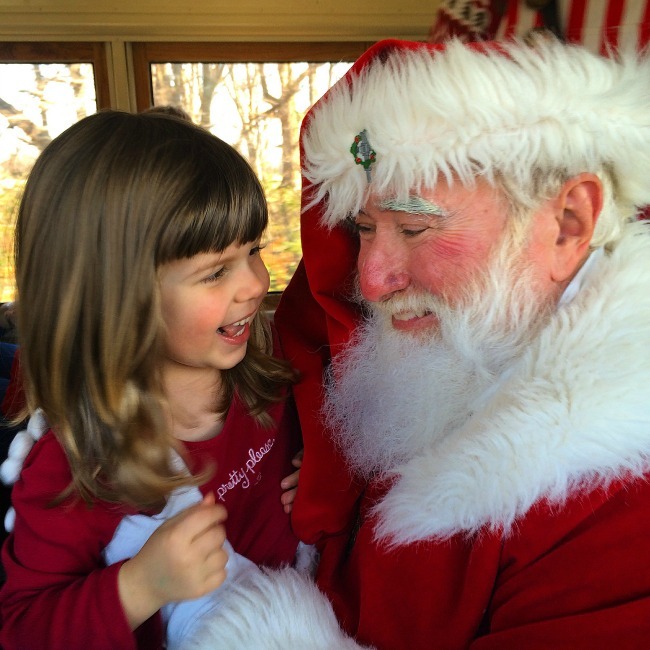 Steam Into History– Santa’s Sing-Along makes this train ride in York, PA really stand out! 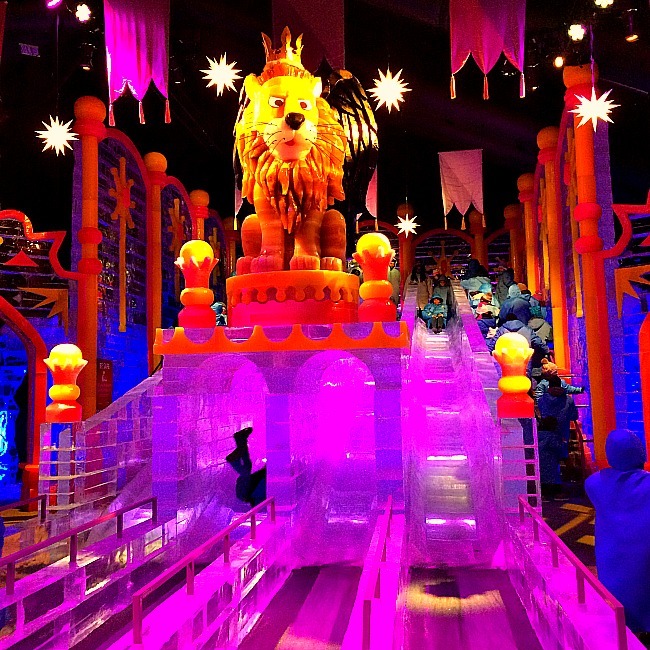 You might balk at the price (it is a little pricey), but I seriously could not imagine a holiday season without a trip to the Gaylord National Harbor hotel to see ICE! and all the other festive activities. ICE! itself is truly impressive. Each year the ice carvers out do themselves with incredibly life like ice sculptures of Christmas favorites such as the Grinch, Rudolph, Frosty, and more. After you finish sliding down that ice slide, stick around (you will want to warm up anyway) for the other fun activities. 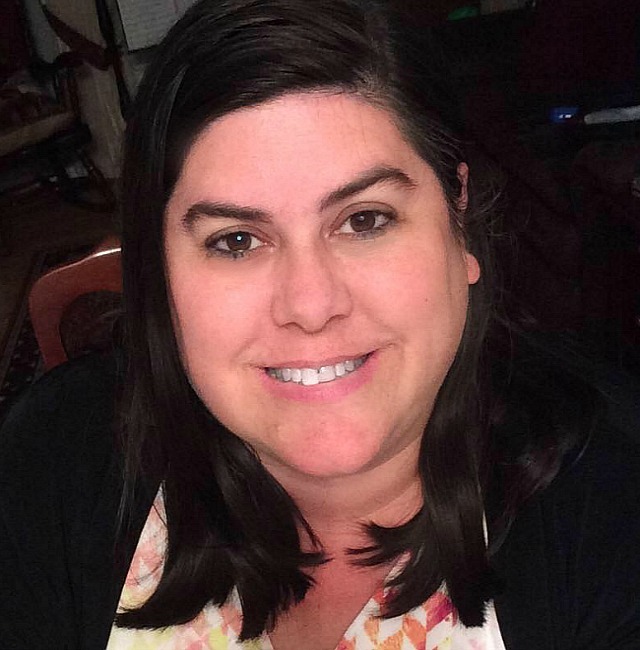 There are a few kiddie rides, cookies and storytime with Mrs. Claus, cookie decorating, etc.. 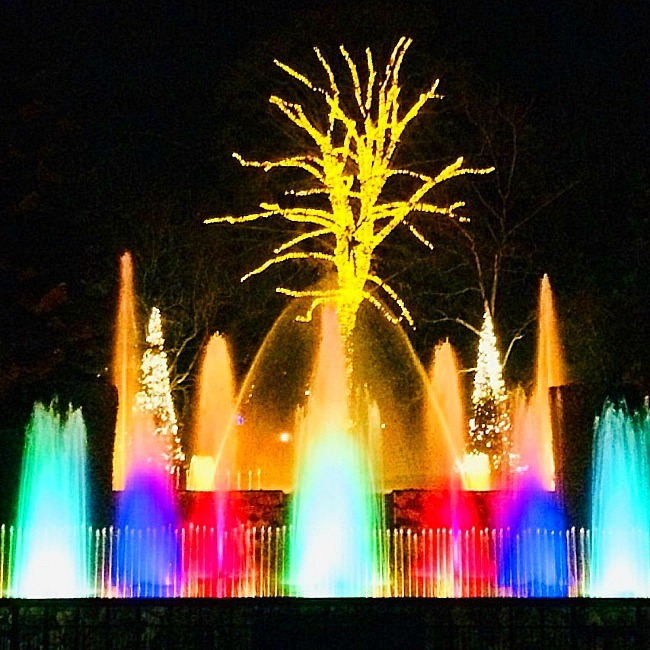 The absolute best add-on though (and this one is FREE which makes it even better) is the nightly fountain and laser light show– This nightly Christmas tree lighting event will literally knock your socks off. There is even an indoor snowfall! Check out my review of ICE! here. 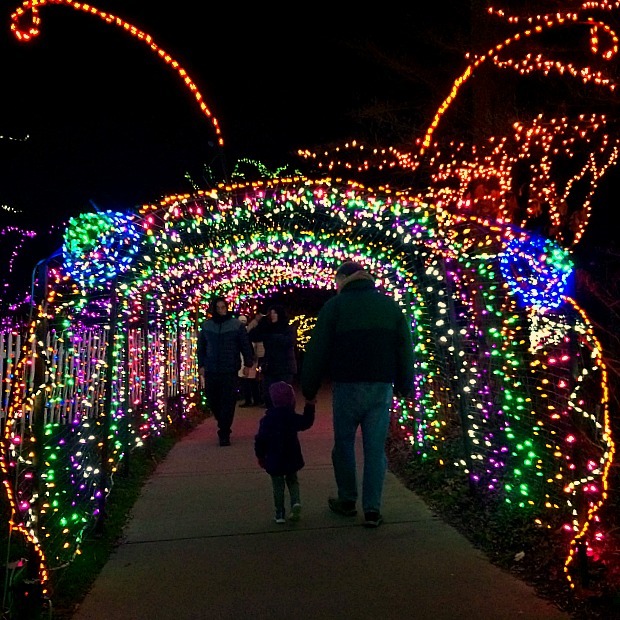 There are some truly phenomenal Christmas lights displays you can walk through in Maryland area too. 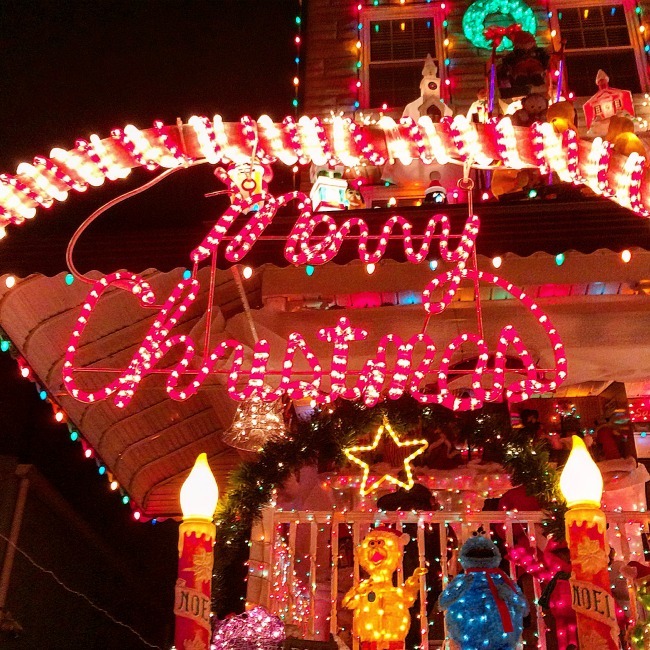 The most over the top one is probably Koziar’s Christmas Village in Bernville, Pennsylvania. Some of the local towns really know how to bring out the community and put on a super fun family friendly Christmas celebration. Columbia Orchestra Family Holiday Concert. Ok, I am slightly biased because I am in this orchestra BUT this is easily the best holiday concert to take your kids to in the area. The concert is short, there are dancers, parking is free, the tickets aren’t expensive, and there is a sing-a-long. How awesome is that? The holiday play and puppet show by Glen Echo’s Adventure Theatre MTC and The Puppet Co. The two best options in this category are awesome for different reasons. 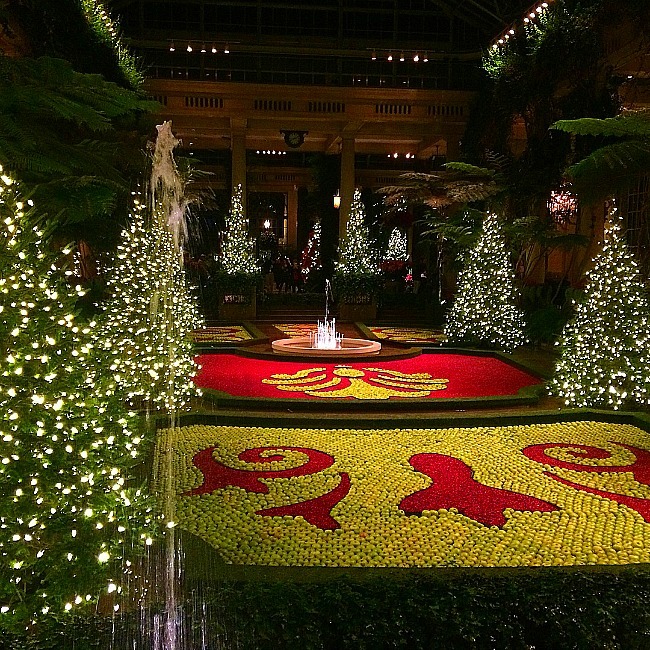 Longwood Gardens: A Longwood Christmas. For over the top awesomeness this is the place to go. 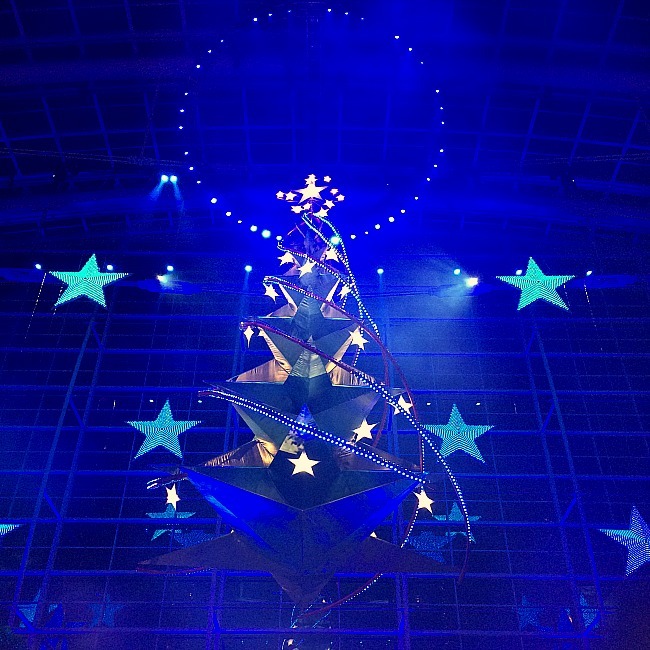 Seriously, you will not believe how gorgeous the Christmas decorations are inside the Conservatory. There is a super cool (and cold) holiday fountain show, a great Christmas lights walk, and more! U.S. Botanic Garden. This amazing garden has cornered the market on holiday coolness. Why? Because every year they base their train garden and decorations on a theme and then everything– and I mean everything– is created out of only organic materials. It is simply awesome. Every year they also make replicas out of all the US Government monuments and landmarks.. again, all organic material. It is truly impressive. The lines for this annual holiday event can get super long when school is out, so if you can swing a weekday (or early in the season) trip, do it. 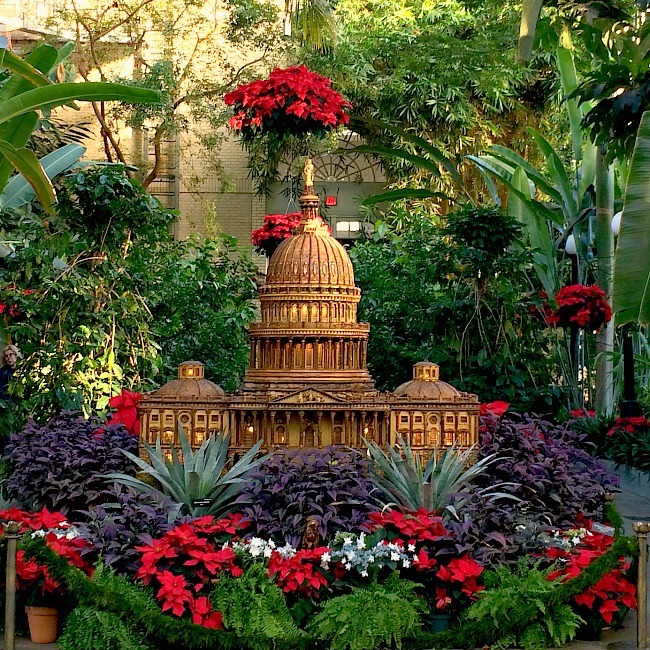 Related: 4 Festive Reasons You Must Visit The US Botanic Garden With Kids At Christmas! There are a number of options here and you will want check your local area for the best low-cost options. We love the pancake breakfast put on by our local fire station. If you want a super fun and unique experience, every year the Maryland Zoo holds a Santa breakfast with penguins. It is really super cute and a ton of fun (and it always sells out super fast). 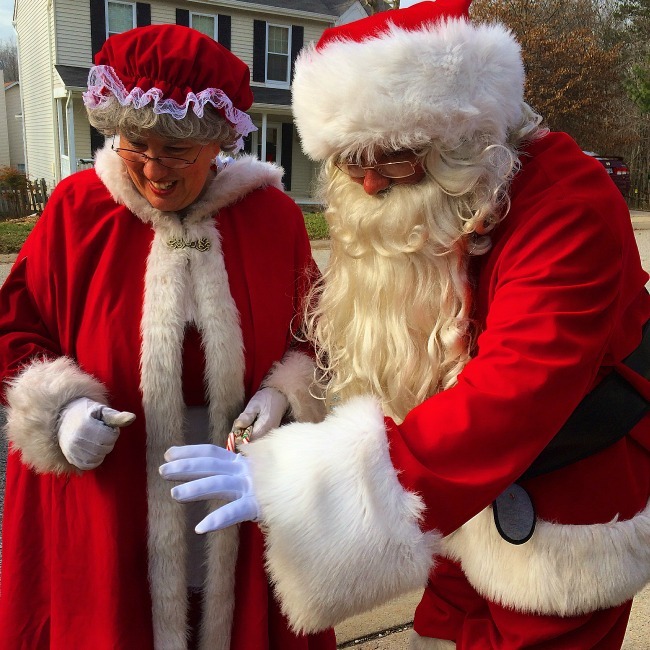 Previous Post: « 40 FREE Christmas Events in Maryland (and DC) For Kids!